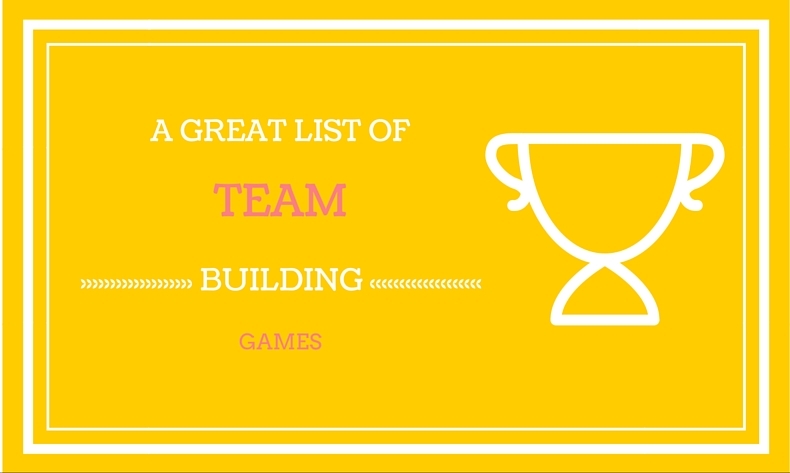 Team building games and activities are a good way for your team to get better at communication between themselves and also to increase their skills at problem solving. Not every activity works fine for all team members so it's important that you choose which ones makes more sense to the team. In this activity, you'll divide your team into groups with the same amount of members. You'll create a challenge that they'll need to complete within a specific amount of time. The challenge can be as complex as having them build a walking robot out of set of lego pieces or as simple as creating a paper airplane and the one that stays in the air for the most time wins. After specifying the challenge and dividing the teams then you'll need to have a table with the supplies that they're allowed to use. Indicate that they can only use supplies available in the table and no other. Make sure they know how much time they have so they plan themselves and use some project management ideas. After they're done, then each team just have to show how they solved the problem and have some good fun with the reveal. The purpose of the game is to have the groups collaborate between the members and do team work. It'll also help them learn about task and time management and how communication is essential during the start, execution and close of a project. It also has the fun factor in it about how the solution will look like and how to get to it with the limited amount of supplies on hand. In this game you'll first divide your team in pairs. Then, they'll seat back to back. You'll give to one of the members of the team a picture of any kind. To the other person of the team, you'll give him a piece of paper and a pencil. The team member with the picture on hand must not show the other one the picture. Instead, they need to describe to the other what the picture looks like without using words that directly give away what's in it. For example, one of the members in the team can have a picture of someone jumping from a plane with a parachute. That person must describe the other that scene without saying the words plane, parachute, jumping, etc. The other one tries his best to draw that picture with the clues given. The purpose of the game is to promote communication. They'll notice how even if they're talking about the same thing, it's difficult sometimes to get the message across using words that come from one of the members perspective. Also shows how different is the interpretation of what's being said between the team members even though specific words are being used to describe the picture. For this activity, one of the members of the group will do a presentation for the rest of the team. The presentation can be on any topic. The person doing the presentation will stand up in front of them, tell them about the topic and do a big build about it. After that, the speaker will go silence for at least 30 seconds. During the 30 seconds the speaker can walk around the room looking at everyone or simply can keep looking at the presentation notes. After the 30 seconds have past, the speaker will ask everyone what they've learn. There's a high chance that the listening members will be all confused about what's going on. The answer to the question what did everyone learned is simple, nothing. The purpose of the game is to show the importance of communication. If we stay quiet, without saying anything, our point of view and our ideas will never get noticed. Watching in silence how everything moves around will just keep things in status quo, the same as they were yesterday. After braking the silence, the participants in the presentation will feel relieved as they'll know that you aren't picking on them. They'll also see that, as you're doing the talk, you're also the one taking all the risk. in this activity, you'll place a sheet of a carpet on the floor and then ask all the team members (or divide into groups if there are a lot) to step into the sheet in the floor. After they're on the sheet, they need to turn it over the other side without anyone stepping off the sheet and without carrying each other. They'll need to figure out a plan and a strategy on how to move forward. If there are more than five members in a team, it'll be better to use some piece of carpet that can be better manipulated. The purpose of the game is to have everyone in the team to figure out the plan on how to do it and also to collaborate in the final solution. They'll also need to be in constant communication on what step to follow next. At the end, every one in team will have put their own grain of salt to get to the solution. In this game, team members will replicate a mini aspect of a society and create an artificial economy for it. Rules will need to be drafted around how the economy will work. Members of the team will need to get together, collaborate and get into an agreement of what the rules will look like. Team members will need to come up with ideas on how their mini society will live, what they'll sell or manufacture, how it's going to be marketed and how the income received will be distributed among the members and what projects it'll be invested to keep the economy growing and healthy. The purpose of the activity is to get everyone together and on board into a common goal of making things work. Also the collaboration for creating rules and how some team members are willing to follow them and how others will look for legal ways to circumvent them to get to their goals will show what team members are willing to do to get the job done. It also has components for project management, problems and how to approach them for finding a solution. For this game, you'll draw on the floor, using tape, a shape in the form of any polygon. It needs to be at least twelve feet long and seven feet wide. The shape needs to be in a form that allows people to get from one side to the other. Inside the shape you'll place some squeaky toys and you'll also place some paper sheets marked with an X. The papers with the X are land mines. Then, at least two persons will enter the shape and try to make it to the end. They both will be blindfolded and the rest of the team members will try to guide them using only their voice. If any of the members step on a sheet with a land mine they'll become frozen. To unfroze them, the other team member must step on one of the squeaky toys. They cannot go outside the boundaries of the shape either and both need to make their way from start to finish. The purpose of the game is to encourage communication between the team members and also the ability to trust one another. They'll also learn how to give guidance at the right time so the ones that are blindfolded can reach to the end. For this activity, you'll use an actual game of Jenga and mark the blocks depending to the hierarchy in your company like for example: some are the marketing department, some are the sales department and others HR. Some blocks will be shaped as managers and other as support staff. The marked blocks will reflect how your organization is structured (for example, 10% of the staff is marketing, 25% are sales, etc.). Then, you'll divide the team into groups and give them the same amount of blocks. Then, you'll instruct them to build any kind of structure that they want or you can provide guidelines of what you want them to build and they must do it in a specific amount of time. When the time is up, you'll then inform them that they need to remove the Jenga blocks one at a time and, taking turns from the team, without destroying the structure. Don't tell them ahead of the game about this part. If you have more time, you can repeat the excersise. This time, they'll find a better way to build the structure. The purpose of the task is show how every department in the company is necessary to complete a task and how, if everyone isn't in place, everything can fall apart. Also allows the team members to visualize what teams (the blocks) are necessary and which aren't to create a structure that can be later deconstructed without falling apart. For this activity, take a pencil and attach two pieces of string around the eraser part of the pencil. Divide your group into teams of two and tie one piece of the string around the waist of one of the team members and the other string around the waist of the other member.Then find a water bottle, a can of soda or any other type of recipient and have both members try to lower the pencil inside the bottle or can without using their hands. The purpose of the game is for the team members to collaborate between the two and also to establish clear channels of communication to achieve a common goal. For this activity, you'll divide the group into teams of two. Then each member of the team will tell the other what they would do if they are offered a month of paid leave and an unlimited budget to travel anywhere they want. Each will explain where they would go and if possible go a step further and do an itinarary of the things and places that they'll visit and do during the trip. After both team members are done, then one of them will explain what the other will do during their paid leave. The purpose of the activity is that each team member gets to know the other and what are their ideals and motivation to work. It'll give each one a better understanding of their personalities and the chance to create better relationships. On this game, also called the river, the goal is for team members to cross a river a cross marked areas called lily pads. These lily pads can be a sheet of paper, cardboard, a plastic plate, etc. All participants most cross the rivers by stepping into the lily pads. The goal is for all of them to cross the river. The rules are that none of the participants can step on the river, and if they do, there can be big consequences (everyone in the team must start over). At any moment in time a lily pad will stay without contact of the participants. There is no running or jumping into the lily pads. The purpose of the activity is for the team members to have communication between one another about crossing the river and stepping into the lily pads. As the pads must always be in contact with the team members, they need to coordinate how to step in one and how two members must be in contact with it before moving forward. Even if there are various members on the team, all of them need to be synchronized toward the end goal as the one in the front cannot move until the ones on the back are ready and are stepping in the right direction. In this activity you'll ask the team to gather together in a circle and to sit down. Each member of the team will then put on a blind fold. Then you'll provide them with a rope that is tied together on the ends and each member will hold it on their hands. Then you'll instruct them to form a perfect square with the rope on hands without removing the blind fold. After they believe they've formed the square, you'll ask them to remove the blind fold and see the results. You can variate the game by asking a team member not to speak. As you increase the number of members that are muted the game becomes more challenging. You can also let the team to come up with a plan before going blind but they cannot talk when building the perfect square. The purpose of the activity is to have the members to communicate with each other in order to reach the common goal of building that perfect square. If there isn't enough communication between then the results won't be the desired one. Also, as team members start to go mute, everyone will notice how much harder it becomes to reach the goal. As they cannot communicate, they basically don't know in which direction that person is going so the other team members are unable to correct the course on time. For this one, you'll divide the group into two or more teams and let them build a package that would allow a raw egg to be drop into the floor from 10 feet high. The package can be made out of paper, duct tape or any other material you can find. The teams will compete into creating a package that will stand the fall and not break the egg. If more than one team creates a successful package, then the one with the least amount of materials used wins. Like for example, the one that use the less duct tape or the less amount of sheet of papers. The purpose of the game is for everyone to work as a team towards a common goal. It also forces the team to communicate with each other in an effort to create the package and use the less amount of materials. This game is much like the scanvenger hunt but it's done using a GPS device. The group is divided into teams of two or more and then they need to find a specific number of items that are hidden somewhere, for example, in a field. Then they'll use a GPS that will guide them into finding the items. The device basically indicates into what direction they need to go. There are also apps for most mobile phones that can also do the same as the device. The team that finds all of the items or most of them wins the adventure. The purpose of the game is to get the team to work together into finding the items. There's also some thinking and strategy that needs to be defined between the members of the team to find the item once they get close because the closer they are the harder it gets to find it. Also they need to be in agreement about the directions to take. For this activity, bring the team a set of four objects of the same type like for example four coffee mugs or four pair of socks. Then you'll write up an scenario that describes what the perfect item would look like. Although none of the objects are perfect, and because they're all different, one of them should be closer to perfection. Then you'll read the write up to the group and allow them to pick which one of the four objects is perfect for them. The important part of the game is to make the scenario complex enough that picking the best of the objects is a difficult process. The purpose of the game is get everyone talking and deciding which one of the objects is a better fit for the scenario. This is also directly related to any activity in which the team is working and they need to decide what is the best solution that applies to that project. For this activity, you'll need to come up with an scenario for which a person will be chosen to. For example it can be for marriage, or specific project coming up, a product launch or president of a country. Then each member of the team needs to come up with one question that will determine if the person to be selected is the right one. Then at the end, all questions will be discussed and the best one selected. The purpose of the game is to have everyone thinking what the best question is to be ask to this person. Then sharing the question with the other team members will help understand how others think and what are their priorities. This will also help on getting everyone to know their colleagues better. For this activity, you'll tell each team member to write in a piece of paper three truths and one lie. The one lie most be something that's believable. Then you'll ask each person to read their truths and lies in random order and the other team members must decide between themselves which one is the lie. The purpose of the game is that each team member gets to know each other by speaking about personal things. This works good for the members of the team that generally are more quite and introverts and is really hard to know them better. They'll learn facts about themselves and about that lie that isn't related to them. For this activity, you'll divide the group into two teams. Then, using a large fitness ball, a rubber chicken or any other rubber object, Team A throws the object as far as they can then Team B has to get it. After getting to the object, Team B will form a single file line and will start passing the object from start to the end starting at the front. The person in the front must pass it over their head, the second between the legs, then the third over the head again and so on. While this is happening, Team A is gathered around together while one of their team members runs around them. Every time he or she does a full circle, a run is scored. After the object reaches the end of the line on Team B, the last one will yell STOP and throw the object as far as they can. Then Team A must go get it and form the single file line again. In the mean time, Team B will gather together and one team member will start running around to score runs. At the end, the team with most runs wins. The purpose of the game is for the team to act together to pass the rubber object as soon as they can so the other team doesn't score that many runs. They need to work together and coordinate their movements. They also need to identify their abilities as for example, the one that throws the farthest will always be the last one in the line and the one that runs the fastest should be running around in circles to score runs making everything a team effort. For this game, you'll divide the group into teams of five or six. Then everyone will pretend that they're in the artic and that they need to survive. They must elect a leader that will guide them through the process. But the leader is suffering from frostbite so the rest of the team members need to build a shelter in order to live. The team members must pretend that they're under a snow storm so they can't really see what's going on. For this, they'll have their eyes blindfolded. They'll need to listen to the leader for instructions on how to build the shelter. The purpose of the activity is to listen for instructions clearly in order to get the goal. The leader must also practice management skills by assigning tasks and supervising the project and correcting as necessary. Getting everyone involve and, in the correct path, will make the team achieve their goal. For this game, you'll hang a tire from a branch or ceiling above five feet from the ground. Tie the tire to four other sides so it's completely secured and it doesn't move from it's place. You'll then instruct the team that they need to go through the center hole of the tire without touching the sides. They must come up with their own strategy on how to get to the goal. If someone touches the sides of the tire, the entire group must start over. There should also be designated persons that will be in charge of crossing the first and the last person. The purpose of the game is for the team to get together and come up with strategies to accomplish the goal. Communication will be vital between the one crossing the tire and the rest of the team so they can get through without touching the edges. For this activity, you'll divide the group into teams. Sizes of the team must be at least 4 but can be 8 or 12. You'll instruct them to get together and form a circle. Then ask them to raise their right hand in the air and then grab the hand of anyone. Tell them to do the same thing but with the left hand. Now that they're entangled, they must find a way to untangle themselves while still holding hands together. If they don't, then they have to start all over again. The purpose of the game is to collaborate together in looking for a solution. It'll also need leadership as one member in the team must be at least looking after how they can all get untangled and figuring out what the next steps are. For this activity, create a fictional problem. This can be of any kind and can be a riddle or very complex problem. You'll then ask the group to come up with a short solution to the problem (two or three sentences). When they're done, you'll then present the solution to the team. You'll then ask them to the pass the idea to the team member on left and ask for a solution to the problem based on the idea. You can continue to do this for several rounds. At the end, you'll present the final result to everyone. The purpose of the game is that everyone in the team have a chance to pitch in their idea to fix the problem. Sometimes in real life scenarios, when coming up for ideas to fix a problem, often the ones that are expressed by members of the team that have more dominant personalities are the ones taken into account while others just stay quiet when in fact their ideas might be even better. In the game, everyone gets a chance to express their own perspective on how to approach a solution for the problem. Team Building Activity #22: What's My Name? For this game, you'll get team members to write on a name tag the name of a person. This person can be anyone that is famous, a celebrity, a wealthy person, a homeless, a disabled person, etc. Then the members will place the name tag in the back of another team member so they can't see who they are but the rest of the group can see. Then the team members will go around the room asking questions and answering others questions related to their names until they find out who they are. The questions and answers must be stereotypical to the name in the tag. After a member knows who they are, they'll leave the game and let others figure out their names. The purpose of the game is to have the members confront each other with the stereotypes of the person they're tagged with bringing to light how we sometimes treat each others this way and also sometimes have narrowed views of another person. This activity is also good as an ice breaker for people that doesn't know each other. In this game, you'll get each team member to get to know others personalities so they can prevent clashes between themselves as they will know what makes them "ticked off". For this you use can personality test like DiSC or True Colors that will define a member's personality and will give them guidance on how to deal with another person's personality type. It would be even better if you can get a speaker to talk about the tests and the personality types. The purpose of the game is to get to know the personalities of others. This will give each team member the necessary tools to deal with other members when reactions come into play. If they know how a person works best, they can determine for example what information or questions bring into a meeting so they can get the best results possible. In this activity, you'll tell each team member to bring an item from their desk. Then, tell them that this is going to be a new product and they need to come up with a name, slogan, logo and a marketing plan to sell it. This can be done alone or in groups. Then, they'll present to the group the product as if they were selling it. The presentation should be time limited, for example, two minutes. Then discuss all together what products were sold and why. The purpose of the game is to come up with a plan on how to sell the product. The team comes together into figuring out how to sell it and how to approach a market. It also promotes teamwork as each one can bring something different to the table. For this one, you'll collect a number of items that are different from one another. This can be office supplies, toys, games, kitchen utensils, etc. You'll need around 20 objects for each group. With the groups formed, have each one try to group the objects together into four different categories. They can come up with the categories they want but each object must belong to one. They'll write their grouping in a sheet of paper. After time is up, a spokesperson for the team will read their groupings and explain why they came up with that result. The purpose of the game is to have an idea how each team member sees things differently and how one object can be group in different ways depending on the point of view of the person.